Congratulations, you’ve made it through the proposal and negotiation phase and have won your contract! First challenge - accomplished. Now to the bread and butter of what you do - performing the work. It can be nerve-wracking to see your contract expenses increase as your accounts receivables sit and age. The cash-flow lag between invoicing and payment can be deadly for small businesses who need to continually outlay money for payroll and expenses while they wait for their invoices to be received, approved, and disbursed by their government customers. What if you don’t have the collateral, credit, or one of the countless other qualifiers that traditional banks look for to qualify for a term loan? What if you don’t have the time to wait for three levels of board approvals? Or what if you just don’t want to take on the additional debt? Let’s look at how Contract Financing can get you the money you’ve worked for, when you need it, and in a clear and transparent manner. We’ll start with talking about what Contract Financing is, and what it isn’t and we’ll dispel some of the misconceptions that are out there. Then we’ll talk about how you can leverage Contract Financing for your business growth. For that up-front capital the company actually pays nothing directly. A rate and fee is agreed upon between the business and the factoring company. That amount is withheld from the final reserve that is released to the business when the government pays the factoring company. in exchange for the up-front capital it provided. This allows the company to receive some much needed cash flow more quickly to support their operations. The financing company (now the owner of the invoice) then waits to receive full payment from the original customer. Once the financing company receives the full payment, they release what remains of the final reserve to the business. Why Is Contract Financing Beneficial? What the company will have gained in exchange for that rate and fees will have been the up-front cash (the original percentage of the invoice) which sometimes could be up to 90% of the invoice, that they did not need to wait on payment for. Think of how this cash flow could help your working capital and operations needs. You wouldn’t have to worry about payroll since you won’t have to wait to be paid for the hours you’ve invoiced for. Your accounts receivable can keep pace with your accounts payable so your accountant isn’t on your back. Your balance sheet isn’t showing the debt incurred with taking on bank loans and your credit isn’t taking a hit either - helping you position yourself for strategic purchases in the future. You have the cash leverage and ability now to mobilize and bid on more projects, creating even more rapid business growth. Reality: Contract financing is a tool that companies of all sizes have used to make strategic use of cash flow. Especially as companies are in growth mode and rapidly expanding, waiting 30, 60, 90+ days for cash flow may not be realistic. Being able to have cash in-hand within days is an attractive feature of contract financing. Reality: It all depends on who you work with. Each financing company has differing rates and fee structures that will determine how much your contract financing will cost. Shop around and do your due diligence. Compare rates, and find out all of fees that are being charged. With the wrong company, this myth can become a reality with hidden fees popping up and confusing rate structures making a seemingly good deal compound quickly into an expensive obligation. With the right contract financing company though, you’ll find transparency and rates and fees that are made clear from the beginning. Some are often comparable to to a traditional term loan for the same amount. Reality: Federal Acquisition Regulations (FAR) Subpart 32.8 -- Assignment of Claims provides for this very type of arrangement. The regulations even include a suggested format for businesses to use to submit to the necessary information to the government. Reality: With some companies, this may be true, but again, shop around - and more importantly read the fine print. Not all contract financing companies are the same. Some will allow you to pick and choose which invoices you finance, while some may require you to finance all your invoices with them. As with all contract documents, it is critical to read everything and understand the agreement you are entering into. When you strip away the myths about contract financing, what you find is a competitive market offering a powerful financial tool for business owners to take control of their cash flow and use it strategically to work for them. Jay’s staffing company has been operating a call center for the Dept. of Veterans Affairs for the past month. It’s finally time to invoice for the hours worked and Jay submits an invoice for $120,000. Jay knows that the contracting officer will need to review, accept, and approve his invoice before he’ll receive payment, which all could take another 30 days. He’s already had to float two paychecks for his on-site staff and that’s in addition to his other operational expenses. Jay desperately needs cash flow to continue daily operations and he cannot wait those 30 days for payment to be disbursed. Jay decides to do some internet searching to find out more about contract financing. Jay is left with a lot of marketing emails, some unanswered phone calls from salespeople, and not much more understanding of if contract financing or factoring is really a good idea for his company. Luckily for Jay, another Veteran in one of his business networking groups recommends he check out StreetShares. 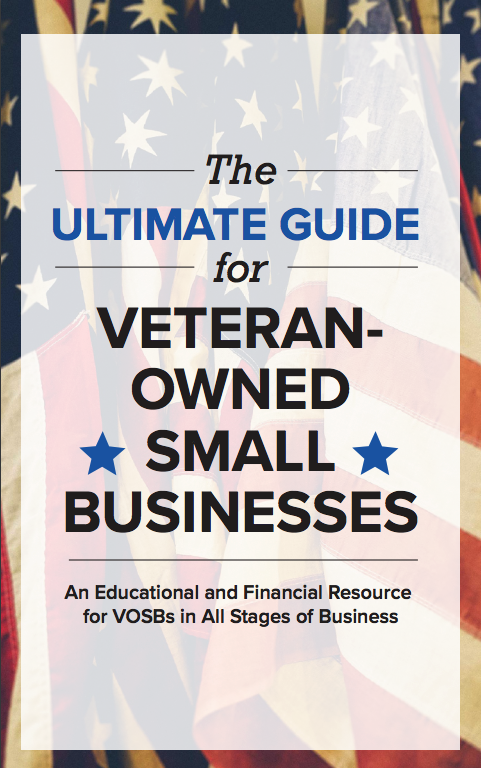 It’s owned and run by Veterans and you’ll get a fair deal there - transparent terms, no hidden fees, and they’re easy to work with. Jay takes a look on the StreetShares website and is able to see their rates and fees, understand their process, and even a picture of the fellow Army Veteran he’d be working with. Going with what the numbers show, his colleague’s recommendation, and his own gut, Jay submits his information to apply for Contract Financing. Jay hears back from Austin, the fellow Army Veteran, at StreetShares to discuss his application. After confirming a few details about Jay’s business and his federal government customer, Austin is able to offer Jay contract financing for 90% of his invoice at a competitive discount and interest rate over net 30-day payment terms. Jay was pleased with the transparent and straightforward communication from the StreetShares team. The discount and rate was in line with what he had seen on the website and both were disclosed and discussed openly from the beginning. With no requirement to finance other invoices through StreetShares, Jay thought this was a great deal for his company. Jay and StreetShares move forward. Jay sells his $120,000 invoice to StreetShares and Jay receives $108,000 (90% of his $120,000 invoice). He’s now able to use that cash flow to pay labor costs and other operating expenses without worry. Jay’s team is able to continue providing the high level of performance that his customer expects and that has earned them the outstanding past performance that has helped him become a successful government contractor. Meanwhile, StreetShares waits for the VA to approve Jay’s original invoice. During that time, Jay is continuing to build his relationship with the StreetShares team. 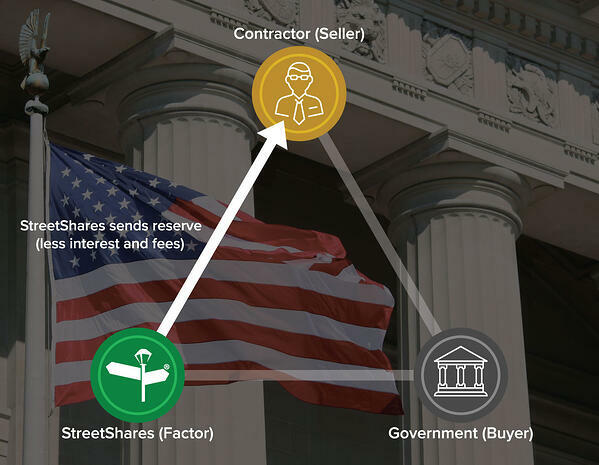 Beyond contract financing, StreetShares also offers term loan and line of credit products that can help business owners use their cash more strategically. Weeks later, after the VA disbursed their payment to StreetShares, Jay receives the balance of his invoice minus the originally agreed upon fees deposited into his bank account. 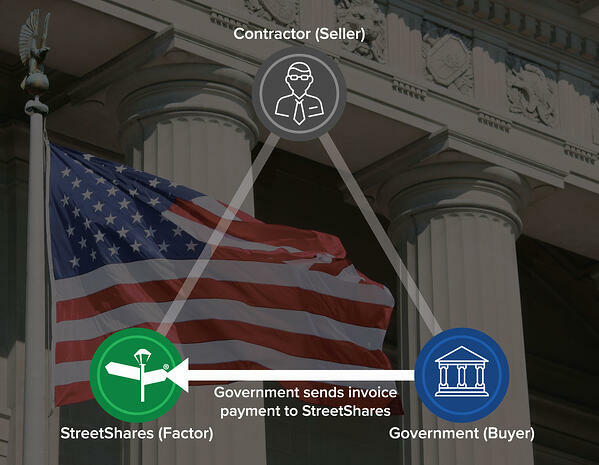 As this payment is being received, Jay is preparing his next monthly invoice to the VA. Based on the smooth service of his first contract financing experience, Jay contacts his team at StreetShares to finance this next invoice as well. The experience of Jay and his staffing company is like that of many small businesses trying to grow in the government contracting space. In a busy market where lending processes can be vague and confusing, StreetShares remains a lender where customers can find transparency, integrity, and a team of professionals with an array of tools to support your small business. 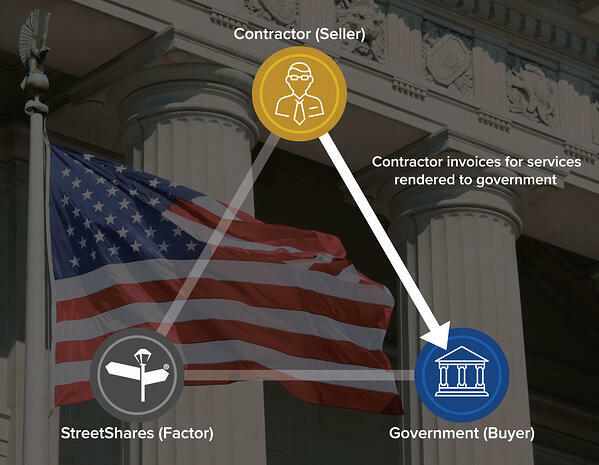 Are you ready to take the next step with government contract financing?